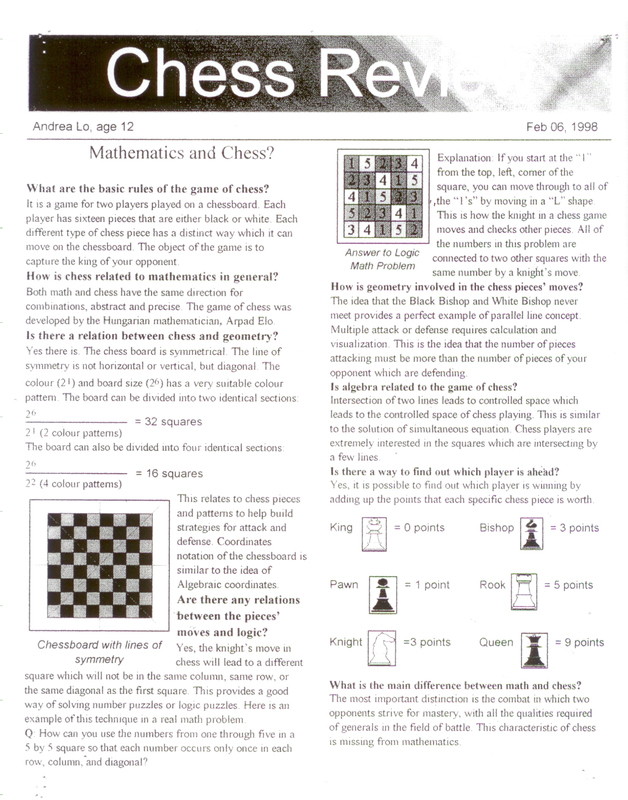 Ho Math Chess Research and Articles > Mathematics and Chess? Please click HERE for the full size of text. Frank's student Andrea wrote this article when she was 12.